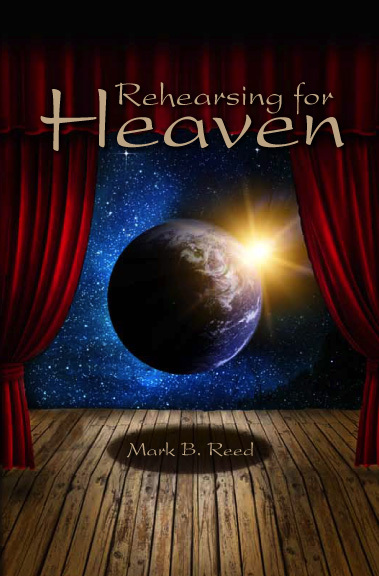 Rehearsing for Heaven by Mark B. Reed is a fascinating, intriguing, informative and captivating read that will answer the important questions about eternal life and heaven. Author Mark B. Reed unravels the common lore surrounding heaven, enabling you to understand the purpose of creation, who you are, who God is and sheds light on the purpose of life here on this earth. “We choose to live for time or live for eternity”, states Reed (p. 108). I heard a pastor once say how sad it was that there were people on this earth just “existing.” Let this inspiring book bless you with the knowledge that life is not about just existing. This book will refocus your attention on preparing a life that is worthy of “heaven’s stage”, that is “unshakable” and not perishable. Each one of us has a destiny that is predestined in God. In this book, you will find that heaven is the ultimate goal of this life and that there is much more to living on this earth than just living. This book will help you realign your life according to heaven’s values. Life is the ”rehearsal for heaven”, come see why this is a true-to-life theme that cannot be overlooked. This well written biblically based book will fill your heart with faith, increase your understanding and provide you with the life changing knowledge that will give you the tools to overcome life’s hurdles and find the victory that is yours through Christ. Be prepared to take a journey filled with wise counsel that if received can be life changing and provide you with the keys to unlock life’s doors that will empower you to live a victorious, abundant life, while preparing you for eternity in heaven.